You may choose to provide us with personal information such as your name, email address, mailing address, telephone number, and credit card information when you create an account with us, subscribe to any of Down East Enterprise Inc.’s affiliated publications using our online forms, sign up to receive our email newsletters or special offers, make a purchase on our website, post a comment, contact us via email or by letter, participate in one of our promotions, or complete a survey. You can unsubscribe from any of our newsletters or email lists at any time by following the unsubscribe link at the bottom of each message. If you would like to update the personal information that you have provided to us, send an email to online@downeast.com. Please note that we do not honor Do Not Track requests. We also collect non-personal information from you when you visit any of Down East Enterprise Inc.’s websites (listed above). For example, we may collect information about the type of browser you use when accessing the site, the language of your browser, and the name and version of the operating system you use. We may also collect information about your Internet Protocol address (the numerical address assigned to your computer by your internet service provider), which can sometimes be used to determine your general geographic area. We may take note of the website you visited before and after visiting a Down East Enterprise Inc. website (listed above), and the ads and links on which you click while browsing the Down East Enterprise Inc. website (listed above). If we send you an email, we may collect information about whether you open or forward that message, and whether you click on the links contained in the message. We may collect the identification numbers of mobile devices that are used to access our website. The identification numbers may be used to determine the physical location of users’ phones; caller ID data, which may include a phone number; information about users’ wireless carriers; the make, model and operating system of users’ devices; and information about how users navigate Down East Enterprise Inc.’s websites. With user consent, we may use precise geolocation technology such as GPS or WiFi triangulation to collect information about the exact location of the mobile device. We may combine the information we collect through Down East Enterprise Inc.’s websites with other information that we obtain from other companies and sources, including third-party data suppliers and public databases. The information we may obtain could include your name, mailing address, email address, telephone number, demographic data (such as your age, gender, and income level), your interests and purchase behavior, your posts and submissions to public forums, websites you visited, and advertisements you have viewed. We use personal information to fulfill subscriptions and purchases, respond to inquiries, notify winners of our sweepstakes or contests, offer products or services we believe may be of interest to our users, and customize the websites’ content and advertisements. We may also use personal information to prevent activities that could violate Down East Enterprise Inc.’s rules or the law. If you submit a comment or letter to us, we may publish that comment or letter, along with your name, city or town of residence, and other information that you provide to us. We will ask for your consent before using personal information for other purposes. Your consent is not a condition of using a Down East Enterprise Inc. website (listed above). In some cases, we may share personal or non-personal information with Down East Enterprise Inc. affiliates or third parties. For example, we use a third party vendor to store credit card information that is submitted to us. If we co-sponsor a promotion with another company, we may share information you submit to enter the promotion with the co-sponsor. Finally, we may share personal and non-personal information with others if we are authorized to do so; to comply with a court order or government investigation, subpoena, or inquiry; if we believe in good faith that it is required by law; to protect the rights of Down East Enterprise Inc., users of the websites, or the public; to prevent or trace abuses of the website; or as part of a sale or other disposition of our assets (including our membership and/or customer records). Do others collect information on Down East Enterprise Inc.’s websites (listed above)? Information collected by website users. We encourage you to be cautious about revealing personal information in the interactive sections of Down East Enterprise Inc.’s websites (listed above) and related social media platforms. Information you post may be collected and used by others, and you should have no expectation of privacy in such information. Information collected by advertisers. Third party advertisements that appear on Down East Enterprise Inc.’s websites (listed above) are sometimes delivered to you directly by the advertisers. The advertisers may automatically receive your IP address when you receive their ads. They may also download cookies to your computer, or use other technologies to measure the effectiveness of their ads and to personalize their content. We do not have access to or control of the cookies placed by the third party advertisers, and we do not give them access to information that we collect and store about visitors to our website. We use commercially reasonable physical, electronic, and managerial procedures to protect the information we collect. We cannot, however, guarantee that the information will remain permanently secure. It’s possible that technical problems could cause your information to be lost, or that the information could be stolen from our databases. Down East Enterprise Inc. is not responsible for any such loss, theft, or any other security breach. Down East Enterprise Inc.’s websites (listed above) are not intended for anyone under the age of 13. Consistent with the Children’s Online Privacy Protection Act (“COPPA”), Down East Enterprise Inc. does not knowingly collect personal information from children through this website. Minors under the age of 13 should not register for any services or provide us with their names, email addresses, phone numbers, or other information. Minors between the ages of 13 and 17 must obtain the permission of their parents or legal guardians before making purchases on our website. If you have concerns about children’s privacy issues, please contact us at online@downeast.com. If you are a California resident, you have the right, under California Civil Code Section 1798.83, to request and obtain from us, once a year and free of charge, a list of the third parties to whom we have disclosed personal information for their direct marketing purposes in the prior calendar year.  Please email requests for such information to online@downeast.com. You may update, collect, or delete information about you at any time by logging in to your online account and modifying your information, or if you do not have an account, view/update your information and marketing settings, and opt-out of email communications here: https://downeast.com/newsletter-subscription/ (Down East, Down East Shop, Retire to Maine, Down East Adventures), http://mainehomes.com/newsletters/ (Maine Homes), https://shootingsportsman.com/email-preferences/ (Shooting Sportsman, Shooting Sportsman Shop) or email online@downeast.com. We will retain personal data we process on behalf of our customers as directed by paying customers. Down East Enterprise Inc. will retain this information as necessary to comply with legal obligations, resolve disputes, and enforce agreements. Upon request, Down East Enterprise Inc. will provide you with information about whether we hold, or process on behalf of a third-party, any of your personal information that we are aware of. To request this information, email online@downeast.com. You may opt-out of receiving promotional and newsletter emails from Down East Enterprise Inc. by following the opt-out instructions provided in those emails. You may also opt-out of email communications by emailing us at online@downeast.com with your specific request. If you opt out, we may still send you non-promotional communications, such as alerts and notices related to your access to or use of Down East Enterprise Inc.’s services or those about your online account or our ongoing business relations. We never receive any information from our customers unless you expressly choose to share it with us. Our legal basis for collecting information from our customers is part of a paid-subscription agreement and/or free or paid online content agreement based on customers’ legitimate interest in receiving information and products from Down East Enterprise Inc.